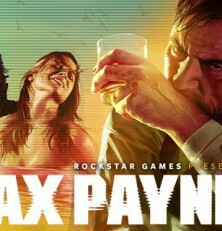 The release date of Max Payne 3 may have slipped to June, but Rockstar is distracting us with thr reveal of its Multiplayer mode. How the hell does multiplayer work with bullet time? The answer is simple: it’s all based on line-of-sight. If you’re looking at anenemy who goes into bullet time, you’ll go into slow motion too. Game modes are more narrative-based than simple deathmatch, with events in the first round of gamplay affecting the nature of the second, with changing high-value targets and pieces of land to control.